If exuberant celebrations involving feasts, get-togethers, decorations and gifting symbolize one part of Christmas, the religious aspect surely makes for its other and most significant part. Christmas is a time for carols and that is why we have brought you here some of the best and most popular carols sung during the occasion. Check out the lyrics of these famous Christmas carols so that you do not have to grasp for the right verses while singing them. 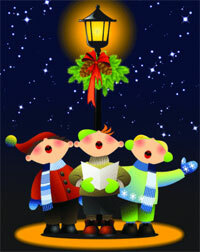 If you like, you can click here and share these Christmas carols with your friends and dear ones. Celebrate a joyful Christmastime! 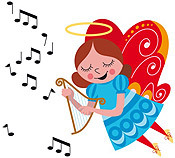 Go over the lyrics of these popular Christmas songs and carols and sing them without being at a loss for words during your Christmas prayers. ~ Attributed to John Thomas McFarland7 (1851-1913). 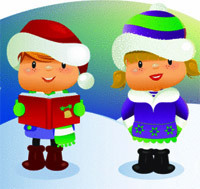 Deck The Halls (A traditional Yuletide and New Years' carol). ~ by Charles Wesley (1707-1788). ~ composed majorly by Henry Wadsworth Longfellow (1807-1882).